We are pleased to offer generous benefits to eligible employees. 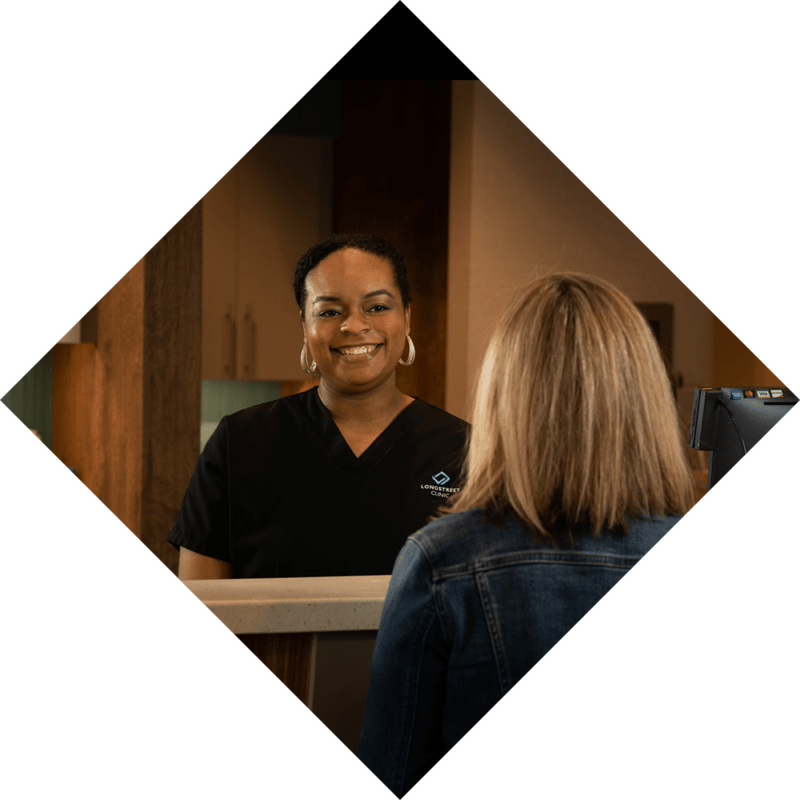 PTO is an all-purpose time-off policy for eligible Longstreet Clinic (LC) employees to use for vacation, illness or injury, and personal business. It combines traditional vacation and sick leave plans into one flexible, paid-time off policy. The amount of PTO time employees accrue each year increases with the length of their employment. LC will grant holiday time off to all eligible employees on New Year’s Day, Memorial Day, Independence Day, Labor Day, Thanksgiving Day and Christmas Day. Longstreet Clinic offers a choice of quality health plans to its eligible employees with the primary goal of maintaining and improving the health of our employees and their dependents. Employees may select coverage from the plan options. Health insurance coverage is a benefit to all permanent full-time employees for their individual coverage with the cost of the coverage being paid by LC and the employee. A full-time employee can elect to cover family members under the same health plan with the cost being paid by the employee. LC provides $25,000 term life insurance for eligible employees. Long-term disability insurance is provided for eligible employees by Longstreet Clinic after ninety (90) days of continuous disability. LC has several optional insurance policies available for eligible employees. Policies include dental, additional term life and several AFLAC products which include short-term disability, intensive care, cancer and others, with premiums payable through payroll deduction. Flexible Spending Accounts are available for Health and/or Dependent Care expenses. Longstreet Clinic offers a retirement plan including a 401 (k) for eligible employees. The pension is entirely funded by LC and employees are fully vested after completing six (6) years of service. The 401 (k) plan features pre-tax contributions by payroll deduction, company matching on a portion of the contribution, tax-deferred investment earnings, options for self-directed investment management and individualized quarterly reports. LC provides a leave of absence without pay to eligible employees who wish to take time off from work duties to fulfill personal obligations. Eligible employees may request family medical leave (FMLA) under the following circumstances: birth and/or care of a newborn child, adoption and/or care of a child, a serious illness or injury to the employee or an immediate family member. FMLA also is available to care for a military service member that is injured and for exigency events. Bereavement leave with pay may be granted for a period of up to three (3) days for eligible LC employees in the case of death in the immediate family. We recognize the responsibility of all citizens to serve when called for jury duty. When an eligible employee is called for jury duty, LC will reimburse the employee for the difference between the compensation paid by the court and the employee’s normal pay. Longstreet Clinic will assume responsibility for purchasing insurance coverage (Workers’ Compensation) for employee work-related illnesses and injuries. To assist in maintaining a healthy work environment for all employees, Longstreet Clinic offers a free Employee Assistance Program. The EAP provides support, guidance, and resources to help resolve a range of personal, financial, work and family problems. The EAP is a confidential service for LC employees and eligible dependents.